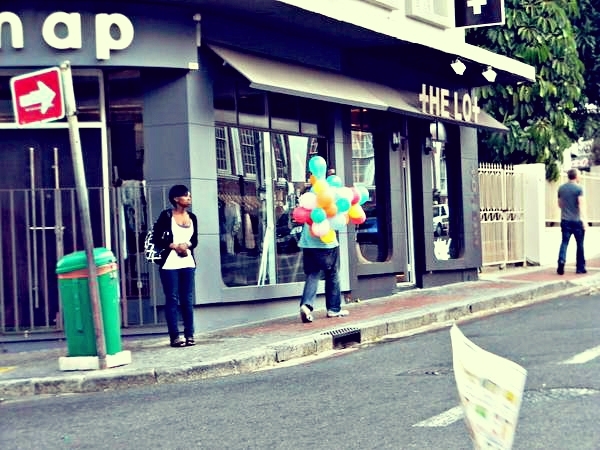 On Friday evening, as Tamara, Imar and I were heading off to Long Street for Yours Truly’s 2 Years Later skateboard exhibition, we saw this beeeg bunch of balloons floating aimlessly up Kloof Street. 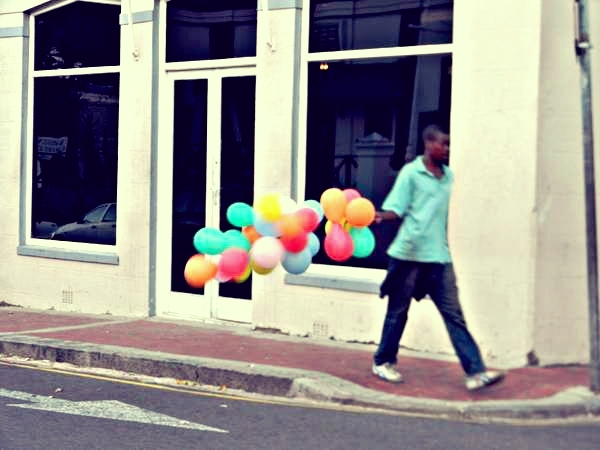 There they were, out of place, all alone and just being blown about, when suddenly, out of the blue (and dressed in blue), their hero came running along… Risking his life he swooped into the road and grabbed them by the string before the next car could send them off in a different direction. Haha I love that second picture!